Looking after 3 year old girl, general housework and helping with show jumping horses at home and at shows. We can offer training on our horses and also English tuition if required. Ensuite accommodation. Daily riding and working with one other person. Must have experience with small children. During the Summer (mid June -Sept) we operate a riding and language school where children between 12-18 come to learn english and ride as well as trips, activities and visits around the region. 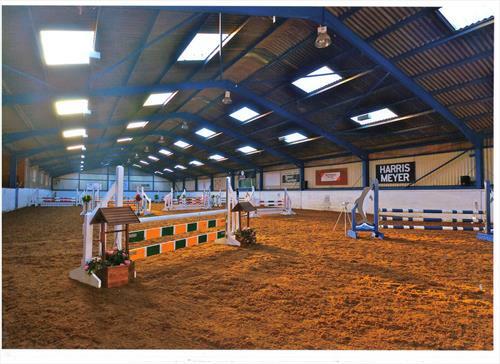 The yard also produces showjumpers from novice to advanced level. There is the possability to ride and school the horses and or be trained yourself.